After setting a fastest known time in the Himalayas earlier this year, Ryan Sandes will be lining up for what many are calling the World Championships of Trail Running at this year’s Ultra Trail Mont Blanc on Friday 31 August in Chamonix. 2018 sees the “who’s-who” of trail running taking part with names like Jim Walmsley, Kilian Jornet, Luis Hernando and Tim Tollefson to mention a few all looking to take the title of King of the Mountain. 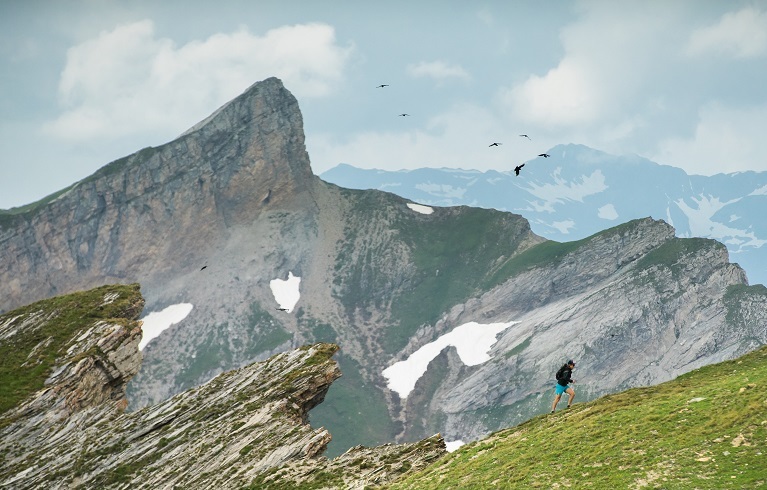 UTMB will see roughly 2300 of the toughest runners in the world to taking on the French, Swiss and Italian Alps over 100miles. Known as one of the most difficult foot races in Europe, the 170km loop race, has more than 10 000m of positive altitude change before it ends – a total climb which is higher than Mount Everest. The race loop around Mont Blanc follows the Tour du Mont Blanc hiking path that normally takes hikers between 7 to 9 days to complete, but the lead runners will complete this course in just over 20hrs, with the final cut off time after 46hrs30min. The race is termed semi-self-sufficient, with 10 food/ drink posts situated on the course where the participants can take whatever food and drink they need.